One of the great Woody Allen’s more well-known quotes is his musings on the end of life. He said: “I don’t want to achieve immortality through my work; I want to achieve immortality through not dying”. Recently, two films have played in which the central characters achieved immortality in one of those ways. 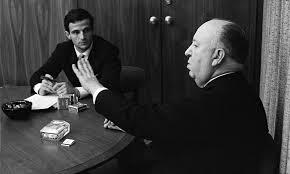 The documentary Hitchcock/Truffaut is based upon a series of interviews that the great New Wave French filmmaker, Francois Truffaut, had with one of his most important influences, the more polished Hollywood filmmaker Alfred Hitchcock. It was an attempt in a way to save the master of suspense. Up until then, though considered one of the most reliable and successful filmmakers of histime, Hitchcock still really wasn’t taken as seriously as he is now for the simple reason in that he made “thrillers”, a genre that was not considered something that filmmakers who took the art form seriously entered into (back in 1940, Gary Cooper turned down the lead in Foreign Correspondent, a role that went to Joel McCrea, because he felt that this genre of film was unimportant and beneath him—a decision he said later was his greatest mistake). But the French did take Hitchcock very seriously and considered him a great filmmaker (before you start saying, Go, France, remember they also felt the same way about Jerry Lewis, so nobody’s perfect). And Truffaut got Hitchcock to sit down for six days for an extensive interview, which later became one of the greatest film books in history, Hitchcock/Truffaut (I guess that’s where they got the title for the film). The book is priceless, the movie a bit less so. It’s never boring. I mean, it can be done, but it’s very difficult to make a movie about Hitch and be boring. But I don’t think the movie’s much more than that. I think the reason for this coming up a bit short is that only a part of the movie actually focuses on what the title refers to: Hitchcock/Truffaut. 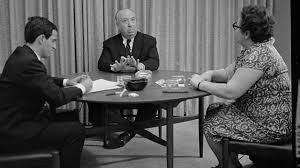 The film does here and there, and we get the basic background to how the interviews came to be, were carried out and how Hitchcock influenced Truffaut. However, the rest of the movie is a series of talking heads, mainly of directors (like Scorsese, Assayas, Fincher and Linklater). Fair enough, but the issue is that they basically tell us pretty much what we already know when it comes to Hitchcock. None of them really add much that is original or even insightful. And instead of really getting a documentary about the book and the famous meeting and the two great directors, much of it is just a rehash of the same old, same old. Still, for those who are a fan of both great filmmakers, it gets the job done and should be seen. 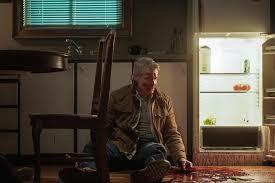 He Never Died, written and directed by Jason Krawczyk, is about someone who, well, never died. He is immortal (it’s a punishment thingy) and has been here since the dawn of time and circumstances aren’t inclined to let him shuffle off this mortal coil anytime soon. Because of that, he spends his time doing…as little as possible. He has no friends and rarely a sexual partner. He just goes from one day to the next in a sort of pokerfaced haze. His social interaction has much to be desired. He won’t engage with people and when he does, he uses the least number of words necessary to keep the conversation going, or perhaps, more accurately, to stop the conversation from going anywhere. The thing is, you see, he’s been on the wagon for a number of years (he exists by eating human flesh and drinking blood) and the last thing he wants to do is to fall off of it by making friends he’ll probably end up eating and, if not, will definitely outlive. This includes such things as playing Bingo most nights to keep his mind off of his cravings. But then there’s that inciting incident that no film would be without. Suddenly, there’s a knock on the door and he opens to find his teenage daughter there, someone he didn’t know existed and someone he just can’t get emotionally worked up about (except for the annoyance he shows at having to deal with her). Things also become complicated when a young man he pays to deliver blood to him is suddenly abducted by some characters of the shady kind (his student debt was such that he went to a loan shark of not the best repute; are you listening Republicans). And the story has these two through lines coming together in a most climactic way of course. He Never Died is a nifty, first rate independent film. It’s smartly written, ably directed and it does a huge amount with very little. It’s certainly never boring and Krawczyk keeps things moving at a very tense rate. If you missed it, it’s because it played perhaps a week, a shelf life much shorter than the leading character’s. The star is singer Henry Rollins and it’s a perfect role for him since it requires him to show no emotion whatsoever (it’s the same thing that made Alan Ladd a star in the movie This Gun For Hired, about a man emotionally dead, and got Gene Tierney her only Oscar nomination for Leave Her to Heaven—neither were good actors, so what better role for them, but roles that required someone not to act). So Rollins growls his way through the part with dead eyes and deadpan countenance and leaves all the acting to the supporting characters (all of whom do fine work).